Losing your phone can be as bad as  if not worse  than losing your wallet nowadays. But unlike with your wallet, you may be able to locate your lost phone on a map and lock it remotely so no one else can access your information. 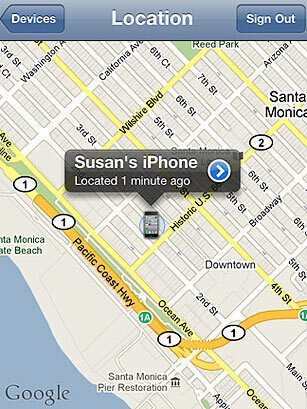 Apple's Find My iPhone app lets you pinpoint a lost phone, make it ring for two minutes (it's most likely buried in your couch somewhere), lock it with a pass code or remotely delete its contents altogether. The Android-compatible Where's My Droid application sports similar features as well.